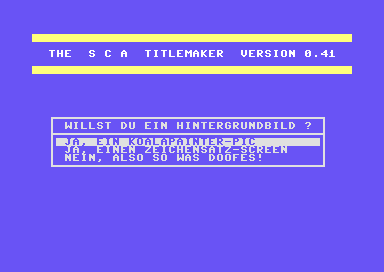 Info: Choose a sound, an image and write a scroll text, and the SCA Titlemaker will create a nice demo for you. Or maybe not. It was never finished on the C64. But there is a version for the Amiga, which was even a commercial success under the name "GoAmiga! Titel"